The Fremont Area Writers meet on the fourth Saturday of each month, except July and December. DeVry University has been kind enough to allow us to use one of their spacious classrooms for our meetings. 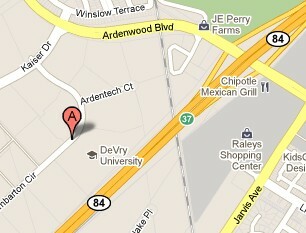 DeVry is at 6600 Dumbarton Circle, in Fremont. We meet in room 115 from 2 P.M. until 4 P.M.